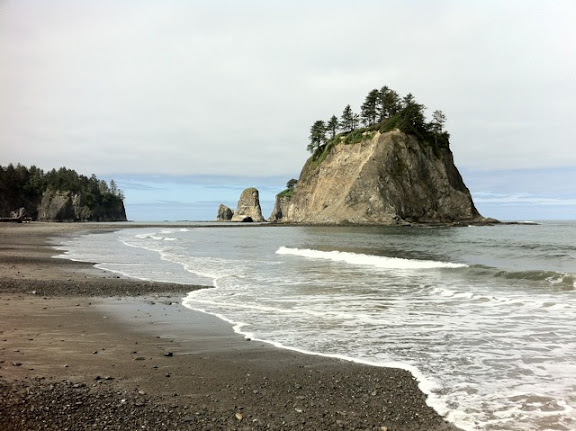 This weekend my husband took our oldest son camping out on the Olympic Peninsula--a place that's been calling our name since we moved here 8 months ago. We are so intrigued with this area and it's not because we are Twilight fans (still haven't seen the movies or read the books...). Based on the amount of gorgeous scenery we get to enjoy every day here in Seattle, I had an inkling this neck of the woods would be spectacular. But, when my husband showed me the images he snapped on his phone, I was completely blown away, despite the fact that I already had high hopes for the area. If I wasn't convinced that Baby Gray would try to eat every pebble on that beach I'd pack my bags tomorrow! If you've camped in the Pacific NW, where do you like to go? This is simply stunning, I can't wait for more. The shots are beautiful too... Sigh. Love these photos! 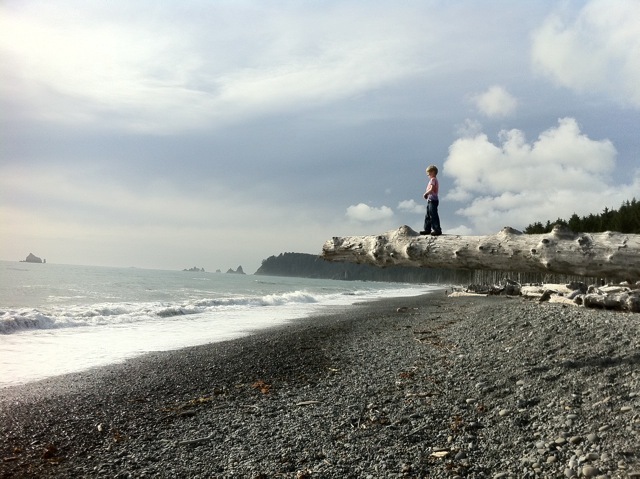 My sister & family live in Port Angeles, and I love visiting such a beautiful part of the world! wow those are great iphone shots. I love these pictures - this is on the top of the travel list! Thank you! This is one of my favorite places in the world! The 3 beaches are amazing! Still hands down the best vacation I have ever been on. We were supposed to go to the coast this last weekend, but the weather was looking poor so we ended up in Clear Lake (near Naches and Yakima). Beautiful inland area for sure. McCall, Idaho is absolutely lovely... and only locals and the super rich who fly in on their private jets know about it. 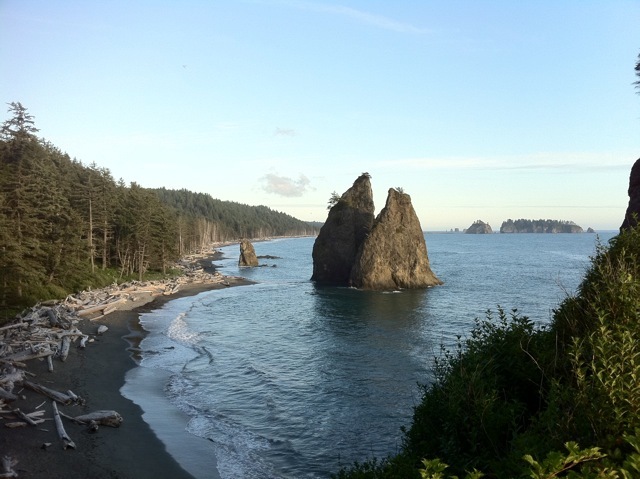 Oh I love the Olympic Peninsula! Went with dh a few years back, before the Twilight movies came out. He's an avid surfer and that's how he knew that we should go. Some of the most amazing hikes we've been on were there. These photos are incredible - I can't believe they were taken from a phone. Wow, spectacular iphone pics by husbandmodo! The boys must have had a very special trip, and I hope you all get to visit en famille when baby Gray is not quite so oral. How very lucky to live in such a stunning part of the world, thanks for sharing with us.